So far in this series on Author Blogging we’ve looked at many aspects of setting up and operating an author blog. Now I want to switch gears a little bit. This is more about your mindset when you’re over the excitement of your first few blog posts, you’ve maybe struggled finding readers, attracting comments and getting traction. True, but it wasn’t always that way, was it? Every blog starts with a readership of 1: you. 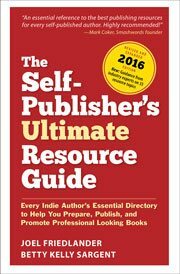 As many self-publishers have no doubt realized, it’s pretty hard to make any significant impact, or much in the way of income, with just one book. It’s not that it doesn’t ever happen, because it does. But it happens rarely, and it’s not something you can plan on or build a business around. Successful publishing is a long-term business. It requires you to find a viable market with needs that you can address with your books. You have to learn everything including how to create books, how to package them, and how to market them. Blogging in support of your publishing is a bit like that. Sure, there are blogs that appear from nowhere and suddenly have thousands of readers. I’ve seen it, you probably have also. But you can’t plan on lightning striking you, and you can’t build a business with money you find in the street. Both blogging and publishing take time: time to learn, time to practice, time to get right. Maybe everything worth doing is the same. Here’s what I can tell you from experience, and from watching lots of people dive into blogging. Many of them will post wildly for a few weeks or months, then flame out. Some will pound away for months, head down and gradually becoming more lost and dejected. There are only a few in each niche, from what I can see, who really have a plan, stick to it and prosper. That’s what I want for you. When I started blogging near the end of 2009, I had 1 reader: me. Jill read a few but, you know, she’s not that interested in book design. But I dedicated myself to one full year on a regular schedule. There just didn’t seem to be any way to find out if this blogging thing was going to work for me in less time than that. Maybe it’s because I’ve had many jobs over the years, but a year seemed the minimum it would take just to find out if people really wanted to read about what I wanted to write about. Over the years since, I’ve talked to and watched hundreds of bloggers, some successful, many who just quit. There are differences between the bloggers who make it and those who don’t, from what I can see. And they market their blogs regularly to receptive audiences. And most of all, they persist. You know they’ll be here next week, and next month. This persistence works in your favor in many ways. Links accumulate over time. Your authority, page rank, traffic and influence will continue to slowly build, so slowly you might not notice. But a year later, or two years later, your blog will be a whole different animal if you keep at it. Showing up counts for a lot. In blogging, it may be one of the real keys to success. Hit the comments and let me know what you think. Is your author blog stuck? Have you thought of just giving up? Does it seem like more work than it’s worth? I want to know. Great post. It becomes more apparent every day that blogging and publishing are long-term plays if you want to be successful. Thanks for the pick-me-up article, Joel 🙂 Tell me, you mentioned that you experiment and track the results of your efforts. How do you do this? Google Analytics? Or is there something simpler out there? Ken, I use Google Analytics for that kind of tracking, since it can report the source of traffic and the keywords people are using to find your site. It’s a very deep piece of software, but you don’t have to know everything about it to get a huge amount of value from even its top-level statistics. Thanks Joel. I have only recently started using it, so I have still to uncover the hidden depths. It is definitely a learning curve.. When I started blogging over a year ago, I wasn’t sure if I was going to like it. So I used a day of the week (Saturday) in my blog name, to not only keep me to a schedule of once a week, but to take away the pressure to blog more often than that. It’s worked very well for me! I enjoy blogging more than any other form of social media, but I’m a little discouraged. This summer was pretty slow for blog traffic and comments, and I’m not sure if it was because everyone was on vacation or I’m not good at making connections with my readers! That’s an area I’m still working on, online and in real life. It’s kind of scary, to be honest. Great article! I’ve recently redefined the focus of my young blog, and that has opened up both content and schedule. I quickly found I’d painted myself into a corner by being TOO focused (too niche) regarding fairy tales and retellings. I’ve written a couple of short books in that genre which have been well received (including nice comments from Joel here on cover design via his monthly contest!). But fairy tales are neither my life’s passion nor expertise by any stretch. Widening the scope of my blog to writing and “the writer’s life” in general has meant my natural voice can come through – and more regularly. Good luck with your transition, Michael. Niche topics take a certain amount of groundwork, but with persistence you can succeed. And your experimental attitude will be a real asset. I’m so guilty of not showing up enough. Sometimes it’s because of being discouraged. Last year I only updated my blog substantially 6 times! This year WILL BE DIFFERENT. I have a better idea of who my audience is, which was not the case at the beginning. I’m better with Facebook, and as much as I LOATHE being compact in a “Tweet” I don’t find Twitter the pain I used to. I actually like it now, I still struggle with being that brief, but what can you do? I’m still not But I WILL get to the point where I can update at least 5 times a week, and writing as much of my material a week or two in advance of posting it will help a lot. I totally agree about showing up being a huge part of it. Persistance is definitely the difference! So many people talk about “if only they had…” I would rather chase my dream than neglect it and watch it whither away. Thanks for this post, Joel. The biggest thing I’ve figured out recently is your point about networking. I’ve found that being generous with my comments on other blogs; participating in group challenges like 12 x 12 in 12 (write 12 picture books in 12 months in 2012) and getting to know the other participants; and featuring others in my niche (children’s books and illustration with an emphasis on ebooks) through interviews, have all been great ways to increase my blog’s readership. In some ways, though, I haven’t narrowed down my niche completely, because I enjoy doing a variety of things, posting my art or commenting on life. Though it may limit the growth of the blog, I figure that it’ll keep me interested enough to continue blogging, and it’ll attract readers who enjoy the eclectic mix. I also don’t have a huge burning need to be the biggest blog on the block, since I’m not trying to monetize it. I really appreciate your approach to blogging. Networking is not only a great strategy for growth, but a truly enjoyable way to expand your relationships, meet new people and learn new things. The consistency on your blog will come from your own consistent message of what interests or attracts you, and I don’t see a problem with that. Blogging is, after all, often a very personal expression, so finding a way to make it enjoyable over a long term is a great strategy. This really resonates with me. Thanks for that insight. Thank you for your advice on blogging. I am new at self publishing here in Australia and have never been very ‘computer savvy’ so have relied on friends to help me set a lot of it up. But I’m getting there slowly and enjoying the process. For me, blogging is a joy that I came to late in my writing career so regular writing comes easily. I love that I have a platform for writing about what interests me. I don’t think there is anyone else out there writing about the things I do – I am a self-publishing author, a blind computer user and an amateur psychologist/mystic, all of which make for a unique blend of inspiration for my readers. http://diamondpanes.blogspot.com/ Following your advice, Joel, I have seen my readership grow steadily, which will help with my book launch in June, so thank you! Thanks so much for your comment. I’ve looked at your blog and really enjoyed the articles I read there. You are on a brisk pace and if you can keep that up for a while I bet you’ll continue to grow your readership. One thing that would help your readers is if you can format your writing a bit better. For instance, just doing paragraph breaks every few sentences would make it much easier to read, if you can manage that. Perhaps you’d like to write a guest post some time about your experience getting your author blog started. Let me know and good luck with your books. Thank you for the advice about formatting, Joel. And much obliged to you for the invitation to guest blog – I will be in touch once I’ve fixed the glitches! Could you give more details for “network with other bloggers in their field” please? Whatever your content focus or genre or niche, there are likely other people blogging about the same subject. Since you are usually just starting out, these people have bigger audiences and more mature blogs than you have. Making connections, getting to know these bloggers, eventually writing for each other or participating in joint ventures are all incredibly effective ways of growing your audience and you impact in your niche. It’s good to know the top 10 or 20 bloggers in your field. They will become very important to your long-term growth. Thanks Joel. Because my blog is about self-publishing, I guess you would then fall into the category of one of those top bloggers with whom I’m supposed to be networking. May I consider us networked, or should we confer with our significant others before making this kind of commitment? Exactly, M.L. Before you get too deep into blogging, you might consider a different name than “Musings from the Coursodon Dimension” if you really intend to make it a blog about self-publishing. Thanks again, Joel. I changed the title as you suggested, and will definitely let you know when I come up with something I think might be “guest post” worthy. Good one, Joel. It’s a cliche, but absolutely true in this area and the rest of life. Persistence is *everything*, in my opinion. It’s always what makes the difference in my own life. By the way, Joel, you misspelled persistence in the title and body. It’s one of those words everybody gets wrong. My bugbear is the word “misspelled”, ironically enough. Thanks for the proofread, James, much appreciated. Maybe my Friday the 13th goof? It’s amazing what you can accomplish if you just stick to it, a lesson from life for sure. This is the most important. And it’s where I’ve faltered. 1. Determine the frequency of your posts (one a day, one a week, three a week, etc.). Daily posting sounds great but it’s not easy. Pick something realistic. 2. Determine length of posts. You might decide to post one huge how-to article every Monday. You might find two short articles are more your style. Just remember, the posts are for your readers – give them a reason to read. 3. Set a calendar with article topics. Do this a month in advance. You might have a head full of article ideas now, but there will come a time when you run out of ideas. If you are just starting a blog, write a series of posts on one topic. For example, you might focus on “Five ways to create a professional book cover.” Each article discusses one of the five. Hit pro’s and con’s. Be exhaustive. Writing that type of series will get you noticed. After you have posted all of the articles, tweet it to all your friends, post about it on facebook, and tell people you know who would be interested (related forums). At this point, you have a large chance of gaining a blog following. Now you can start your regular weekly postings. >>the posts are for your readers – give them a reason to read. It’s incredibly challenging for most people to post every day, and I don’t recommend it unless you’re running a news or “gadget” blog where most of your content is reposting articles or news releases. Famous philosopher Woody Allen said that 80% of success is just showing up. If you couple that with Einstein’s theory that “Genius is 1% talent and 99% percent hard work,” and Edison’s belief that “Genius is 1% inspiration and 99% perspiration, there are good reasons to tap the keyboard every day. Another blog tip: if you can’t think of anything original to say, you can re-run a post, perhaps with an update. New people show up all the time who probably didn’t read what you wrote six months or two years ago. Good tip, thanks Michael. Updating is good for both bloggers and readers.